Until now there has not been a book that covers QGIS and Python. There was 'Rapid GUI Programming with Python and Qt' by Mark Summerfield and 'Python Geo-spatial Development' by Eric Westra but for people like me who never learned programming in thier youth this prospective new book may be the incentive I need to get started. There are plenty of Python Books available but if I'm going to learn a scripting language I want it to be relevant to the geo-spatial field I work in. 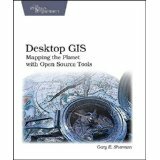 Gary E. Sherman author of 'The Geospatial Desktop' and 'Desktop GIS, Mapping the Planet with Open Source Tools' is promising to fill the gap again with 'The PyQGIS Programmers Guide, Extending Quantum GIS with Python'. Although not available yet it is due in the second quarter of 2013. Click on the link for the proposed content.